The Blackjack (RQ-21A) was deployed last year. 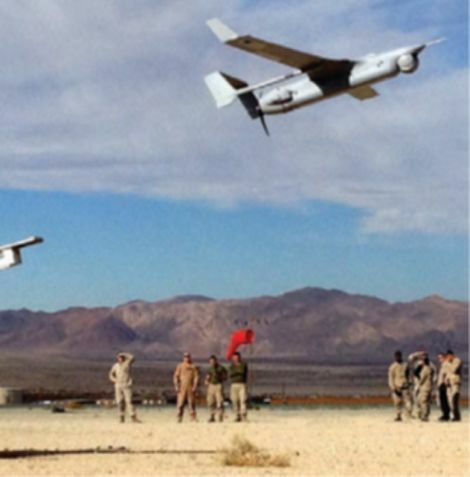 For the Navy and Marine Corps, it fulfills a requirement for a small tactical unmanned aircraft system (STUAS) to follow-on to the ScanEagle. And it is the first military drone that is open architecture, that is, based upon a non-proprietary operating system, allowing it to integrate almost any payload, as long as it complies with the 25 pound limit and the power capacity (called size, weight, and power or SWaP). In some ways, it is a cataclysmic advance for the military, moving to open architecture in the operating system. But the twin-tailed Blackjack is more than just an experiment. While many drones have been deployed as emergency systems and circumvented the normal procurement processes, STUAS has gone through a formal and lengthy process that began in January 2005. 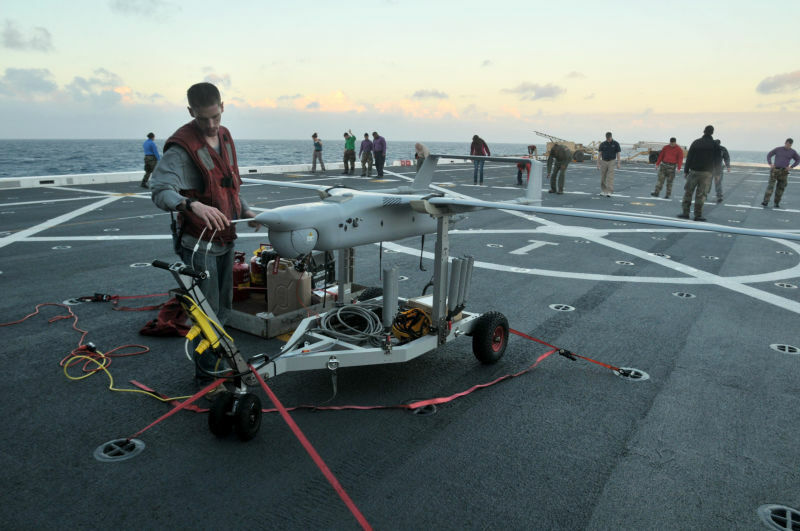 The Navy awarded a contract to Insitu, Inc. (a part of Boeing) for the design, development, integration and test of an open architecture drone in July 2010. In late 2011, the Marine Corps exercised an early operational capability option and took delivery of two Blackjack systems. The system formerly reached initial operational capability in 2014. The Marine Corps requirement is 32 RQ-21A systems, and the Navy requirement is 25 RQ-21A systems for shipboard and special operations missions. With a range of 50 miles, the fully autonomous Blackjack provides persistent maritime and land-based surveillance. The RQ-21A “system” consists of five air vehicles and two ground control stations for up to 12 hours per day continuous operations with a short surge capability for 24 hours a day. 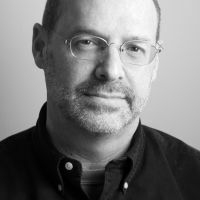 Literally hundreds of different payloads are anticipated, to include day/night full-motion video cameras, infrared marker, laser range finder, communications relay package and receivers for tagging, tracking and locating devices. Future and experimental payloads include hyperspectral imagers capable of detecting explosives, Signals Intelligence (SIGINT) payloads capable of monitoring everything from cellphones to radio, synthetic aperture radar (SAR) and ground moving target indicator (GMTI) radar capable of detecting targets through clouds and tree cover, and cyber payloads capable of jamming and spoofing electronics. Blackjack completed its first shipboard flight in February 2013 from the amphibious transport dock ship USS Mesa Verde (LPD 19). Low-rate initial production was approved in May 2013 and accepted by the Marine Corps in January 2014. Also known as Integrator and as Sentinel Hawk in various developmental stages, the military is in the process of changing the naming convention for Blackjack from RQ-21 to MQ-21 to honor the drones missions beyond reconnaissance. Blackjack is the first U.S. military drone that is open architecture. Kind of a big deal. Specs: Range: 50 nautical miles; Endurance: up to 16 hrs; Speed: 80 kts; Ceiling: >19,000 ft; Wing Span: 16 ft; Length: 8.2 ft; Max takeoff weight: 135 lb; Max payload weight: 39 lb; Standard Payloads: day/night, full-motion video, electro-optical/infrared cameras, mid-wave infrared imager, infrared marker, laser rangefinder, communications relay, and Automatic Identification System receivers for shipping traffic data.